This plaque is located at southeast side of Wolf Creek Bridge on State Highway 49, 10 miles south of Grass Valley, California. There are 20 other California State Historical Landmarks in Nevada County. The GPS coordinates for this location are N 39° 03.713 W 121° 05.313. 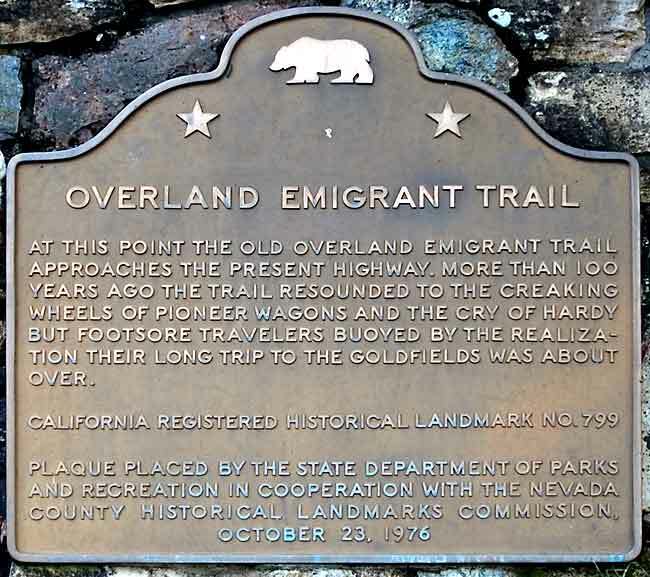 Over a hundred years ago, this trail resounded to creaking wheels of pioneer wagons and the cries of hardy travelers on their way to the gold fields. It is estimated that over thirty thousand people used this trail in 1849. Here the old trail approaches the present highway.